Manchester born, London based producer/dj/composer Sam Shepherd aka Floating Points has quickly become one of the most respected and sought-after musicians in modern music. Debuting in February 2009 with the limited 7 inch ‘For You/Radiality’ (Eglo records) he has gone on to establish himself as one the forerunners of today’s new dance music movement, earning the respect of his peers and contemporaries such as Theo Parrish, Kyle Hall, Benji B, Ramadanman, Four Tet, Kode 9 and Mary Anne Hobbs. He's released music predominantly on Eglo records (which he runs alongside Rinse FM’s Alexander Nut), as well as Planet Mu, R2, Ninja Tune and notching up remixes and features for the likes of Domino, Ubiquity, XL, Fabric and Rinse. The name Floating Points holds just much weight within the DJ world as its does in production, song writing and arrangement. 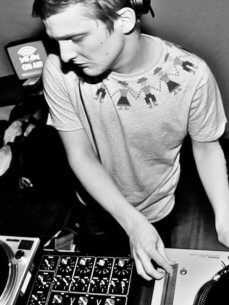 In a short space of time Shepherd has won over crowds around the world with his strictly vinyl club sessions, spanning, house, techno, soul and disco, steadily climbing the ranks of the globes most impressive DJ’s, fuelling an indulgent record habit that regularly leads him on trips to both Chicago and Detroit.